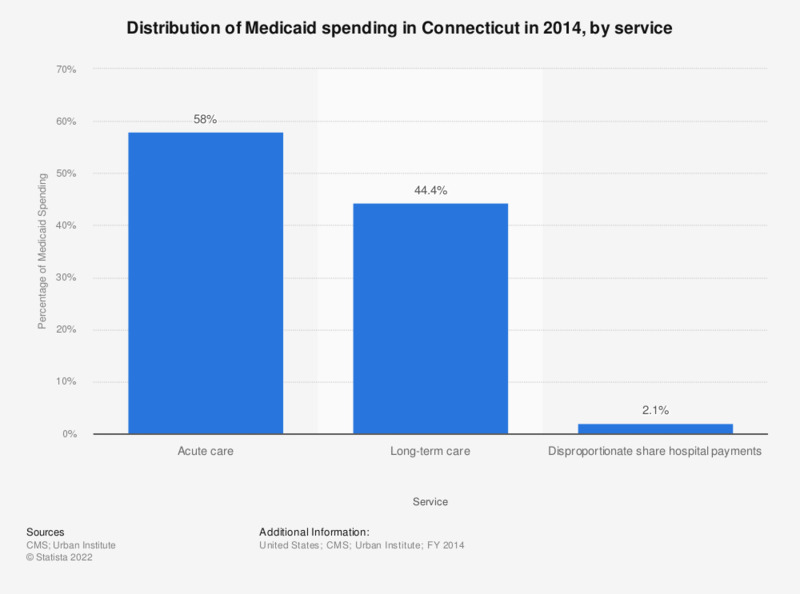 The statistic represents the distribution of Medicaid spending, by service, for the state of Connecticut in 2014. During this year, approximately 58 percent of Medicaid spending was dedicated to acute care. Expenditures do not include administrative costs, accounting adjustments, or the U.S. Territories. Total Medicaid spending including these additional items was $492.3 billion in FFY 2014. Figures may not sum to totals due to rounding.